Prominent & Leading Manufacturer from Faridabad, we offer flexo printing machine, multi color flexo printing machine, flexo machine, roll to roll non woven printing machine, flexographic printing machine and four color flexo. We have gained a remarkable position in the industry by offering a qualitative assortment of Flexo Printing Machine. It is suitable for printing various type Rolls of Non-Woven, Polythene & Paper.The offered machine is manufactured employing high-end technology and well-tested raw material in adherence to industry defined guidelines. Apart from this, the entire range is rigorously tested under the strict inspection of our quality controllers. 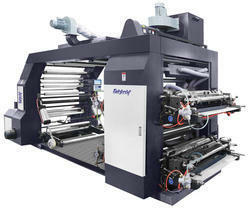 This machine can be availed from us in various specifications at market leading prices. Winder Magnetic 5 Kg. 10 Kg. Power Supply 3 Phase / 415 v / 50 Hz. 3 Phase / 415 v / 50 Hz. FAIRPRINT are Multi Color Flexo Printing Machine Manufacturer and it is a Breakthru’ Innovative Design to deliver Latent needs of Global Consumers for mass production efficiently at very competitive running cost. 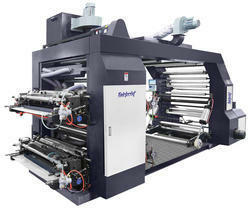 FAIRPRINT ‘an ideal for best quality jobs’ is highly productive Flexo Printing Machine. Huge range of Flexo Printing Machine is suitable for printing various type Rolls of Non-Woven, Polythene & Paper. 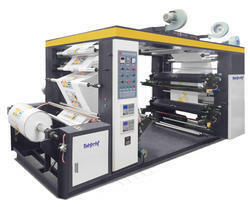 Flexo Printing Machine is highly suitable for big volumes and results in fast turn around . Superior Technology Control Panel allows easy customer interface and Robust Unwinder & Rewinder permits smooth flow of jobs. FAIRPRINT provides complete solution for Roll to Roll Printing of Non-Woven Fabric, Polythene & Paper while ensuring Robust, Reliable & Durable products and provides Best Value for Money. 3 Phase / 415v / 50Hz. FAIRPRINT are Flexo Machine Manufacturer and it is a Breakthru’ Innovative Design to deliver Latent needs of Global Consumers for mass production efficiently at very competitive running cost. FAIRPRINT are Multi ColorFlexo Printing Machine Manufacturer and it is a Breakthru’ Innovative Design to deliver Latent needs of Global Consumers for mass production efficiently at very competitive running cost. Roll To Roll Non WOven Printing Machine is highly suitable for big volumes and results in fast turn around . FAIRPRINT are Flexographic Printing Machine Manufacturer and it is a Breakthru’ Innovative Design to deliver Latent needs of Global Consumers for mass production efficiently at very competitive running cost. FAIRPRINT are Four Color Flexo Manufacturer and it is a Breakthru’ Innovative Design to deliver Latent needs of Global Consumers for mass production efficiently at very competitive running cost. 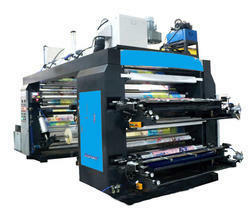 FAIRPRINT are Four Color Flexo Printing Machine Manufacturer and it is a Breakthru’ Innovative Design to deliver Latent needs of Global Consumers for mass production efficiently at very competitive running cost. FAIRPRINT are Four Color Flexographic Printing Machine Manufacturer and it is a Breakthru’ Innovative Design to deliver Latent needs of Global Consumers for mass production efficiently at very competitive running cost. FAIRPRINT are Four Color Flexographic Manufacturer and it is a Breakthru’ Innovative Design to deliver Latent needs of Global Consumers for mass production efficiently at very competitive running cost. FAIRPRINT are 4 Color Flexo Manufacturer and it is a Breakthru’ Innovative Design to deliver Latent needs of Global Consumers for mass production efficiently at very competitive running cost. 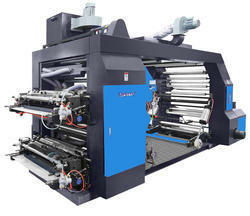 FAIRPRINT are 4 Color Flexo Printing Machine Manufacturer and it is a Breakthru’ Innovative Design to deliver Latent needs of Global Consumers for mass production efficiently at very competitive running cost. FAIRPRINT are 4 Color Flexographic Printing Machine Manufacturer and it is a Breakthru’ Innovative Design to deliver Latent needs of Global Consumers for mass production efficiently at very competitive running cost. FAIRPRINT are 4 Color Flexographic Manufacturer and it is a Breakthru’ Innovative Design to deliver Latent needs of Global Consumers for mass production efficiently at very competitive running cost. 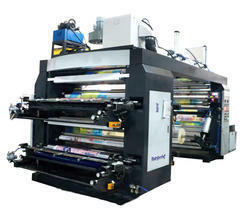 FAIRPRINT are Roll to Roll Flexo Printing Machine Manufacturer and it is a Breakthru’ Innovative Design to deliver Latent needs of Global Consumers for mass production efficiently at very competitive running cost. FAIRPRINT are Flexo Manufacturer and it is a Breakthru’ Innovative Design to deliver Latent needs of Global Consumers for mass production efficiently at very competitive running cost. FAIRPRINT are Flexographic Manufacturer and it is a Breakthru’ Innovative Design to deliver Latent needs of Global Consumers for mass production efficiently at very competitive running cost. FAIRPRINT are High Speed Flexo Printing Machine Manufacturer and it is a Breakthru’ Innovative Design to deliver Latent needs of Global Consumers for mass production efficiently at very competitive running cost. FAIRPRINT are Multi Color Flexo Manufacturer and it is a Breakthru’ Innovative Design to deliver Latent needs of Global Consumers for mass production efficiently at very competitive running cost. FAIRPRINT are Flexographic Machine Manufacturer and it is a Breakthru’ Innovative Design to deliver Latent needs of Global Consumers for mass production efficiently at very competitive running cost. FAIRPRINT are Non Woven Flexo Manufacturer and it is a Breakthru’ Innovative Design to deliver Latent needs of Global Consumers for mass production efficiently at very competitive running cost. FAIRPRINT are Multi Color Non Woven Printing Machine Manufacturer and it is a Breakthru’ Innovative Design to deliver Latent needs of Global Consumers for mass production efficiently at very competitive running cost. 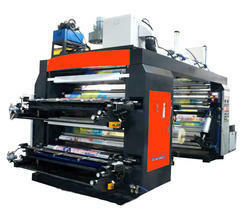 FAIRPRINT are Double Color Flexo Printing Machine Manufacturer and it is a Breakthru’ Innovative Design to deliver Latent needs of Global Consumers for mass production efficiently at very competitive running cost. FAIRPRINT are Single Color Flexo Printing Machine Manufacturer and it is a Breakthru’ Innovative Design to deliver Latent needs of Global Consumers for mass production efficiently at very competitive running cost. 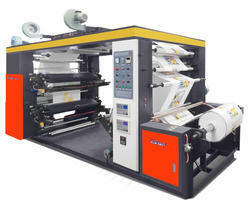 FAIRPRINT are Non Woven Flexo Printing Machine Manufacturer and it is a Breakthru’ Innovative Design to deliver Latent needs of Global Consumers for mass production efficiently at very competitive running cost.